Wine growing is all about site selection. 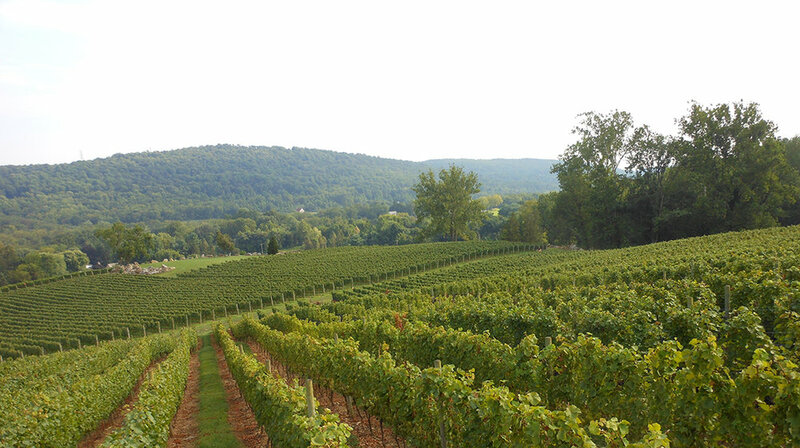 Quality wine comes from prime vineyard sites. Elevation, soil/air drainage, soil composition, and climate are all very important factors into cultivar selection. Alba’s 93-acre estate is nestled in the rolling hills of Warren County, specifically on the north side of the Musconetcong river valley, a tributary of the Delaware river. We are a part of the Warren Hills AVA where our vineyard rests between the elevations of 250’ and 650’ above sea level providing the farm with ample drainage of cold air; which helps to mitigate spring frosts and prolong our growing season. All of our vineyards blocks are on sloped terrain, varying from 5% to 30% grade, coupled with the southern exposure this provides our vines with all the sunlight exposure they could ever need. This farm dates back to the late 1700’s, originally a dairy farm, our vineyards are the first cultivation of the land. This means the soils are as healthy as they can possible be and were never subject to years of other farming and depletion of nutrients. We believe in the value of vineyard ownership as a means of producing wines of exceptional quality, distinctive character, and consistency year after year. The ability to make autonomous decisions about the vineyard provides the winemaking team with a great amount of control and flexibility while ensuring the high quality care of the vines. 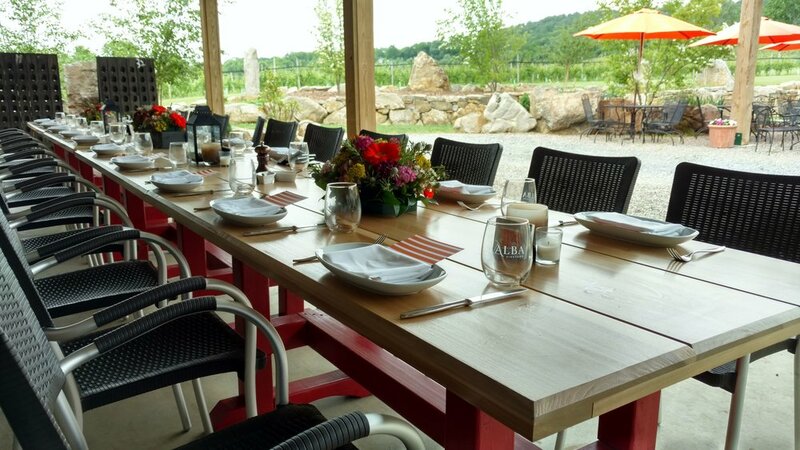 Alba Vineyard is nestled amongst the rolling hills of Warren County, two miles east of the Delaware River and historic Bucks County Pennsylvania in the beautiful Musconetcong Valley. Located in the oldest part of our historic facility, our tasting room also serves as a showroom with our complete selection of wines, produced here on the premises. 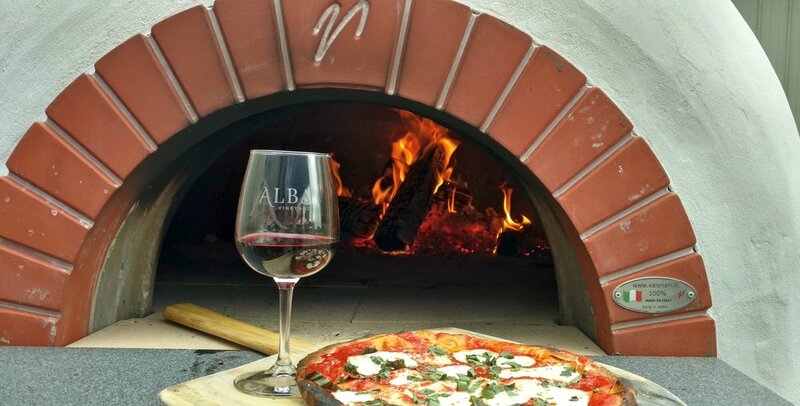 Alba Vineyard is open daily for tastings - reservations are not required. Private Group Tours and Tastings are available by appointment.